Cinando users have free access to the Cinando app to utilize the complete Cinando database on-the-go. The app works offline by downloading the data instantly. Users can easily switch between the general Cinando database and featured market modes. Favorites saved on the Cinando app are automatically synced with the Cinando website. 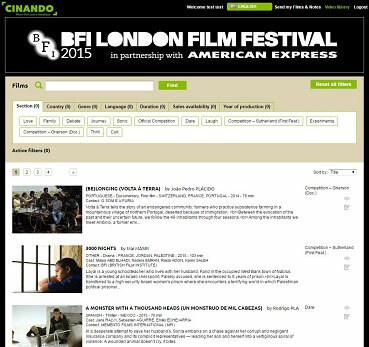 Cinando Video Library is a digital solution launched by Cinando in 2013 which allows festivals and other film institutions to stream their selected films online. 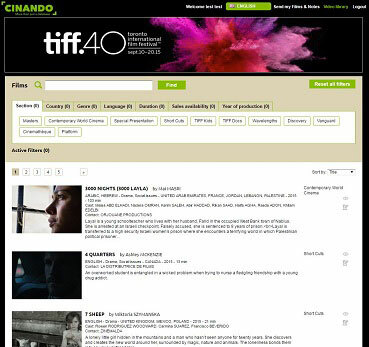 Clients of the Cinando Video Library have their own dedicated website and can customize their own interface from the page design to the viewers & films lists and more. Cinando Video Library uses the same high levels of security as Cinando Screeners.